In 1991, Discovery Communications acquired its second channel, TLC for $30 million , and soon after, purchased Animal Planet in 1996. After rapid growth and expansion, by 2001, The Discovery Channel became the nation’s most distributed television brand. This significant growth increased as Discovery Communications spread into other countries, as well as acquired more channels. By 2004, the company had reached over 1 billion subscribers worldwide . Today, Discovery Communications owns over 50 different channels and media companies including The Oprah Winfrey Network, Science Channel, and Eurosport . Discovery Communications reaches 3 billion subscribers worldwide and is available in over 220 markets . Discovery Communications is a publically traded company and has seen fluctuations in its stock throughout the last several months. Despite these fluctuations, in the past three months, the company’s stock has yet to fall below $24.33 per share and has hit its high at $29.42 per share on Friday, March 18, 2016. After several months of having stocks below their simple moving average, the company was able to surpass this on March 1, 2016 . Since then, Discovery Communications has seen a positive trend in their stock prices, with their stocks having not fallen below the simple moving average in almost two months. Discovery Communications is set to release their first quarterly report on May 5, 2016. On April 11th, President Obama hosted five episode of Science Channel’s “Science Presents DNews,” in which he discussed a variety of topics ranging from pollution to medicine to technology . The partnership between Science Channel and the White House aligned with the White House Science Fair that took place on April 13th as well as the US Science and Engineering Festival that also took place throughout that window. “For Peete’s Sake” is a reality TV show that premiered on OWN: the Oprah Winfrey Network on March 19, 2016. “For Peete’s Sake” follows the lives of the family of former NFL player, Rodney Peete and his wife, “21 Jump Street” actress, Holly Robinson Peete . The show takes a comedic look at Rodney and Holly’s four kids, as well as Robinson Peete’s eccentric, 80-year-old mother. OWN‘s latest docuseries has been added to the network’s Saturday night schedule. It was produced exclusively for The Oprah Winfrey Network by Tremendous! Entertainment and has signed on Colleen Needles Steward, John Ferriter, Kyell Thomas, Shannon Keenan Demers and Andy Meyer as producers, alongside the Peete’s, who will also be executive producers on the show . Also premiering on The Oprah Winfrey Network this season is “It’s Not You, It’s Men,” a relationship talk show hosted by musicians, Tyrese Gibson and Rev Run . The show uses Gibson’s status as a bachelor and single father to contrast Rev Run’s 20 years of marriage in an attempt to generate with diverse opinions and conflicting viewpoints. Each episode, Gibson and Rev Run use their difference in experience to discuss topics such as modern romance, dating, and relationships with a featured celebrity guest. Past guests have included Jordin Sparks, Marlon Wayans, and Vin Diesel. “It’s Not You, It’s Men” premiered on January 23, 2016. It is produced by CBS Television Distribution in association with Voltron Productions and Simmons/Lehman productions. Gibson and Rev Run are executive producers on the show along with Jerome Martin, Isabella Castro, Michael Lehman, and creator/showrunner Eric Pankowski . Following Discovery’s success last year in not spending money on a lavish upfront party, Discovery has opted to take a similar approach this year, and has broken up their upfronts into 14 smaller agency presentations throughout the country, and have decided to reallocate the former upfront money to content production . The goal in this is to expand and improve content, while also increasing the Discovery Communications presence internationally. In an effort to gain new viewers, Discovery Channel is adding their first two scripted television series. The first, titled “Harley and the Davidsons,” is a miniseries that follows the story of William Harley and Arthur Davidson, creators of the iconic motorcycle. Discovery is hoping to attract audiences to the series by featuring “Game of Thrones“ stars, Michiel Huisman and Robert Aramayo . The show is set to air September, 2016. The second scripted series, entitled “Manifesto,” is an FBI drama from the minds of Kevin Spacey and Dana Brunetti and tells the story of one man’s search and take down of “Unabomber,” Ted Kaczynski . Additionally, this summer TLC will be launching under a new campaign with the slogan: “I Am.” The “I Am” campaign uses its current stars and shows to encourage viewers to think positively about themselves, and to recognize the unique aspects of themselves that make each person special. In light of TLC’s recent controversies, TLC president and general manager, Nancy Daniels, said “with real people, real things happen.” The campaign symbolizes the network’s desires to move on from the scandals, and to remind their viewers of their positive message. On April 19, Discovery Communications and HBO announced that they would join together in purchasing equity stakes in OTOY, a virtual reality and 3D graphics company . Both Discovery and HBO hope to use this newfound access to holographic technology to produce innovative forms of technology on various different media platforms. Discovery aims to get this content out on TV, web, mobile, as well as to create wearable technologies for both virtual reality and augmented reality . Discovery hopes that this outlet will be the source to “[take] Discovery VR, to a whole new level” . “Discovery Communications, Inc.” Discovery Communications Inc. N.p., n.d. Web. 24 Apr. 2016. “David M. Zaslav.” (n.d.): n. pag. Discovery Communications Inc. Discovery Communications. Web. 23 Apr. 2016. “Jean-Briac (JB) Perrette.” (n.d.): n. pag. Discovery Communications Inc. Discovery Communications. Web. 23 Apr. 2016. “Andrew Warren” (n.d.): n. pag. Discovery Communications Inc. Discovery Communications. Web. 23 Apr. 2016. “Marjorie Kaplan” (n.d.): n. pag. Discovery Communications Inc. Discovery Communications. Web. 23 Apr. 2016. DiscoveryComms. “Discovery Communications Founded with Launch of Discovery Channel.” YouTube. YouTube, 18 June 2015. Web. 24 Apr. 2016. “Discovery Communications, Inc. – Company Profile, Information, Business Description, History, Background Information on Discovery Communications, Inc.” Discovery Communications, Inc. – Company Profile, Information, Business Description, History, Background Information on Discovery Communications, Inc. N.p., n.d. Web. 24 Apr. 2016. “Discovery Communications Through the Decades.” Discovery Through the Decades. N.p., n.d. Web. 24 Apr. 2016. <http://30yearsofdiscovery.com/>. v “Discovery Communication: AT A GLANCE.” (n.d.): n. pag. Discovery Communications Inc. Web. “Discovery Communications, Inc.” Yahoo! Finance. N.p., n.d. Web. 24 Apr. 2016. “Discovery Communications Inc. Series A DISCA (U.S.: Nasdaq).” DISCA Advanced Charting. N.p., n.d. Web. 24 Apr. 2016. DNewsChannel. “President Obama Explains Scott Kelly’s Year In Space.“YouTube. YouTube, 11 Apr. 2016. Web. 24 Apr. 2016. “Obama To Present Science Channel Segment All Week.” Deadline. N.p., 11 Apr. 2016. Web. 24 Apr. 2016. “Holly Robinson Peete and Rodney Peete to Star in New Docuseries on OWN.” Oprah.com. N.p., n.d. Web. 24 Apr. 2016. “OWN Orders Holly Robinson Peete and Rodney Peete Docuseries.” The Hollywood Reporter. N.p., n.d. Web. 24 Apr. 2016. OWN. “Tyrese and Rev Run’s Sage Advice for the Single Ladies | It’s Not You, It’s Men | OWN.” YouTube. YouTube, 12 Mar. 2016. Web. 24 Apr. 2016. “Watch: OWN Previews New Primetime Series ‘It’s Not You, It’s Men’ (Tyrese Gibson & Rev Run Host).” Shadow and Act. N.p., n.d. Web. 24 Apr. 2016. Lynch, Jason. “Discovery Communications Is Thinking Globally (and Digitally) With Advertising Bouncing Back.” AdWeek. N.p., 31 Mar. 2016. Web. 25 Apr. 2016. Littleton, Cynthia. “‘Game of Thrones’ Actors to Star in Discovery Miniseries ‘Harley and the Davidsons’.” Variety. N.p., 07 Jan. 2016. Web. 25 Apr. 2016. Wagmeister, Elizabeth. “Kevin Spacey, Dana Brunetti FBI Drama ‘Manifesto’ Lands Series Order at Discovery Channel.” Variety. N.p., 31 Mar. 2016. Web. 25 Apr. 2016. “OTOY TO PRESENT ENTERPRISE CLOUD PLATFORM AT NVIDIA GPU TECHNOLOGY CONFERENCE.” Visual Computing Leadership from NVIDIA. N.p., n.d. Web. 24 Apr. 2016. “HBO, Discovery Acquire Stakes in 3D Graphics Firm Otoy to Create Holographic Content.” Variety. N.p., 19 Apr. 2016. Web. 24 Apr. 2016. “HBO and Discovery Invest in OTOY to Create Universal Publishing Platform for TV, Movies and Original Holographic Content • OTOY.” OTOY HBO and Discovery Invest in OTOY to Create Universal Publishing Platform for TV Movies and Original Holographic Content Comments. N.p., 19 Apr. 2016. Web. 24 Apr. 2016. Villarreal, Yvonne. “HBO and Discovery Communications Get into VR with 3D Graphics Firm Otoy.” Los Angeles Times. Los Angeles Times, 19 Apr. 2016. Web. 25 Apr. 2016. “Discovery And France’s TF1 Group In Talks For Strategic Alliance.“Deadline. N.p., 13 Nov. 2012. Web. 25 Apr. 2016. “Animal Planet Logo.” Logo Database. N.p., n.d. Web. 25 Apr. 2016. “Discovery Channel Logo | Logok.” Logok. N.p., 15 Apr. 2014. Web. 25 Apr. 2016. “TLC.” Peacock Productions. N.p., n.d. Web. 25 Apr. 2016. Discovery Communications, Inc (DCI) is an international mass media entertainment company. Based in Maryland, U.S., it manages 150 television networks and 33 worldwide channels (both satellite and cable) . DCI operates in 220 countries, broadcasting in 45 different languages and reaching three billion viewers a week . DCI both produces its оriginаl content, which is primarily non-fiction, and аcquires some programming from producers worldwide . The company also produces and distributes educational products and school services, such as digital textbooks . Discovery GO’s logo. The new streaming app introduced on December 2nd, 2015 . DCI was initially established by John Hendricks in 1985 as a single Discovery Channel . During the 1990’s the company developed additional networks, including Discovery Kids, Animal Planet and Discovery Travel . In 1995, Discovery Communications launched its first website Discovery Channel . Today, the company’s online streaming is estimated to get 400 million hits monthly . Most of the shows are also available on Netflix, iTunes, YouTube, and Revisob3.com.  . On December 2nd 2015, DCI became part of TV Everywhere business model, by launching its new streaming app – Discovery GO. The app, mostly available to the pay TV subscribers only, allows viewers to access the content of DCI’s networks from any device . DCI exemplifies the successful international company with over 300 million international subscribers . With new head of Discovery Networks International Programming and Operations, Darcy Tomlin (appointed in October), this season has been especially contributive to DCI’s overseas growth . DCI’s executives hosting the show gathered for the finale . This fall DCI organized many promotional events abroad . For example, DCI’s networks CEEMEA (Central & Eastern Europe, Middle East) hosted an exclusive event in Johannesburg on November 18th . The company presented its major projects coming up in 2016 to it’s 200+ event attendees . Among the introduced projects were Discovery Chanel’s “Sherpa,” Animal Planet’s “The Lion Queen” and TLC’s “Belief.” The event, hosted by DCI’s executives, was marked by the performances of Discovery stars, such as Andi Rive (“The Lion Queen”), Whitney Thore (“My Big Fat Fabulous Life”) and magician Troy (“Troy”) . DCI has been strengthening its presence not only in African, but also in European markets. This fall was the first season of DCI’s full ownership of Eurosport International – one of the largest European sport-entertainment networks, which was recently acquired by DCI from TF1 . The purchase is especially important as Eurosport won the multi-platform rights for broadcasting the Olympic Games from 2018 to 2024 . In September, DIC also signed a partnership agreement with Russian Media Group, forming Media Alliance and securing Discovery’s presence in the local market . (So far there are 11 DCI channels available in the country .) Media Alliance will launch a development of a new regional free-to-air channel and distribute the Discovery and Eurosport pay TV portfolio. In the Russian market, Discovery Channel, TLC, and Animal Planet are the lеаders in nonfiction content, while Eurosport is the primary pay TV spоrt-related chаnnel . International expansion allows DCI to maintain growth despite a recent decline in the US market . Last year, international markets brought the company 55% of its overall revenues, while this number is projected to reach 65% by 2018 . Therefore, more international deals and promotional events are expected in the future. On October 30th, DCI’s Destination America featured its Halloween-special “Exorcism: Live!”– a two-hour broadcast during which a team of so-called “paranormal professionals” tried to purify a supposedly “possessed” house in St. Louis . The show is closely related to “The Exorcist” book by William Peter Blatty: “Exorcism: Live!” took place in the house where the exorcism was performed, in 1949, which inspired “The Exorcist” novel . According to producer Jodi Tovay, the main event wasn’t about saving a possessed person, but rather about an attempt to cleanse evil from the house itself in a ritual Tovay referred as “a hybrid of an exorcism and a blessing” . Audiences had a chance to actively participate in the event by following several live cameras put around the house online. Producers encouraged viewers to assist the exorcism team and report mysterious activity through Twitter, using the #exorcismlife hashtag . Selected tweets appeared live on air . As a result, “Exorcism: Live!” became the #1 non-football live event on cable in October . For the target audience P25-54, the show gained a 0.59 for L+3 ratings compared to its competitors’ A&E’s 0.34 and National Geographic’s 0.19. The show was also the #1 most mentioned event on Twitter on October 30th, generating 29 thousand tweets . On November 11th, Discovery Family Channel featured a premier of its strongly anticipated “Lost & Found.”  In this reality show, produced by Leftfield Pictures, a team of “professional finders” helps people to find someone they have wanted to thank for a long time (for instance, middle school teachers, old friends, and lost relatives) . “Lost & Found” is a fragment of Discovery Family Channel’s “Project Thank You,” which is a multiplatform campaign to bring people together to say thanks . Throughout all of November, the channel is featuring gratitude-centered programming, vignettes and online campaigns . DCI is a рublic соmpаny, trading in NASDAQ stock market . Its most recent stock price (as of November 27th) of $31.08 per share reflects the company’s positive tendency over the last three months . During the third quarter this year, DCI’s revenues decreased 1% (from $1,573 million in the Q3 of 2014 to $1,557 million in Q3 of 2015) . The decrease, however, is caused by currency effects, without which the company would gain 8% more revenue in comparison with last year . The biggest sources of revenue were domestic advertising and distribution . The revenues coming from both of these sources have increased by 5% in advertising (from $388 million in 2014 to $410 in 2015) and by 11% in distribution (from $318 million in 2014 to $357 million in 2015 ). This September, Discovery hosted its first ever Investor Day in NYC, which attracted 300 attendees, including investors, financial analysts and industry journalists . During the event, DCI’s CEO David Zaslav announced the plans for long-term international and domestic development and revealed that DCI wоuld rеаch thrее billiоn subsсribеrs by the end of 2015 . The quote of the director of Racing Extinction Louie Psihoyos . There are several trends in DCI’s future: international expansion, high involvement with the Olympic Games through Eurosport, increase of subscribers and most importantly a transition from entertainment to more documentary-oriented content . Over the past years, there has been a lot of criticism of Discovery’s pseudo-scientific shows, such as “Shark Week” . However, it’s soon to be changed. John Hoffman, appointed this year as a head of Discovery Channel, has promised to bring more factual and scientifically accurate programming . In fact, the impact of this transition is already in the air. This fall season has already increased the expanding list of DCI’s documentaries by the newly-released shows such as “Marooned,” “Nuremberg: Nazi Judgment Day” and “Melting: Last Race to the Pole” . Furthermore, on December 2nd, Discovery is releasing its highly anticipated “Racing Extinction”  This documentary, directed by Academy Award winner Louie Psihoyos, portrays an ecosphere of endangered species and the activists’ efforts to save them . Therefore, there is firm evidence that DCI will remain a major educational entertainment network appealing to large ranges of audiences all over the world. John Hendricks originally founded Discovery Communications under the name Appalachian Community Service Network in 1982. 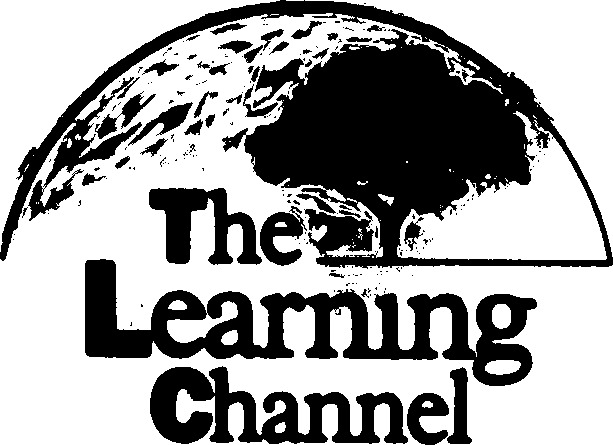 The first station launched was The Learning Channel, an educational station for youths and adults alike. When the company changed its name to Discovery Communications in 1985, other education based channels were established such as the Discovery Channel and the first 24/7 HD basic cable channel, Discovery HD, currently known as Velocity . Today, Discovery Communications is the world’s #1 subscription based television network, reaching over 2 billion subscribers in 220 countries. They own over 200 television stations including: the Science Channel, Animal Planet, and OWN. Outside of television, Discovery Communications is also a large publisher of educational books and operates online media channels such as Revision3 and howstuffworks.com . Discovery Communications is publicly traded under three stock series: DISCA, DISCB, and DISCK. Each ticker symbol translates to series A, B, and C stock. The newer issuances indicate a new corporate milestone, thus returning a higher company valuation number, resulting in a higher IPO for the new distribution of shares. DISCA contains the most shareholders. Within the previous three months, DISCA prices ranged from $76.80 to $85.97. Currently, it is recovering from its lowest point in the period, occurring April 15, 2014, and slowly increased 1.7% to $77.83 on April 18 . In the Annual Financial Statement for 2013, total revenue equated to $5.54 billion. A 19% increase over 2012, which generated $4.49 billion, a mere 8% increase over 2011 . This growth is credited in their recent “acquisition of the majority stake in Eurosport International will drive international to contributing more than 50 percent of total company revenue” . Discovery Communications possesses only 1% of total market share, competing alongside other media conglomerates such as: A&E, NBCUniversal, and Viacom  . Discovery founder and chairman, John Hendricks, officially announced his retirement in March. He will formally resign during the annual shareholder’s meeting on May 16; however, he has not released who will take his place as chairman. Although, sources speculate that current CEO, David Zaslav, may be a potential candidate for the position . In his retirement letter to the board of directors, Hendricks explained that he will “spend the next few years traveling the planet and discovering the questions and mysteries that intrigue us all.” He will also use the opportunity to expand his new business, Curiosity Project LLC, announced February 10 of this year . One currently operational aspect of the project is retreats for inspirational and open- minded thinkers alike. The retreats are five nights long at the Gateway Canyons resort in Colorado, including a panel of 8 different experts in the field of: science, technology, civilization, and human spirit . The purpose of the retreat is to enlighten already intellectual minds and expand their imagination by collaborating and with others. The new aspect of Hendricks’ venture is video on demand. His plan is to compile recordings of the experts from the retreats and publish their talks online for an annual fee of $19.99. However, this venture may prove impractical because there are already free services similar to his found in university publications and intellectual websites, such as TED . Hendricks founded Discovery in 1982 and stepped down as CEO in 2004 and began his role as chairman on the board of directors. He was with the company for 32 years . Discovery Communications is expanding its international affiliations by moving into the televised sports market. On January 21, Discovery purchased controlling share (51%) in Eurosport for $1.2 billion . Since April 2013, Discovery owned 20% stake in the station. The extension was made in a monetary agreement with TF1, a French television network and previous majority owner of Eurosport. The purpose of Discovery’s equity increase is to compete with British Sky Broadcasting and BT, a UK cable provider, for exclusive Premier League television rights . Discovery chose to expand its control over sporting networks so it can combine its international sports rights with its US based stations to avoid competing head on with domestic sporting networks. The new international acquisitions expand Discovery’s network portfolio, thus inflating revenue and control over the total media market . Discovery Communications has recently purchased an unspecified percentage of DogTV: a 2 year old network that targets the dog owner demographic and airs content specifically for pet entertainment. The station is distributed through DirecTV and has a subscription fee of $5 for television viewing and $10 for online streaming . Current programming on the network includes 3-6 minute clips focused on a dog’s relaxation, stimulation, and exposure. Discovery Communications has developed a strategic partnership with DogTV, jointly creating similar programming for Animal Planet while spreading the reach of the network to other countries. This tactic by Discovery can be seen as a gamble to invest in television for dogs, however, over 43.3 million US households own at least one dog, collectively spending over $55.8 billion annually on pet products, and over half of which claim their dogs show interest in what occurs on television . The channel is designed to relieve the stress and anxiety of stay at home pets . Discovery has co-founded and launched a new digital media site, New Form, alongside producers Ron Howard and Brian Grazer . The purpose of the studio is to infiltrate the scripted media market, whereas Discovery contains mainly non-fiction and reality based content. In the startup, the firm appointed Kathleen Grace, former Head of Creative Development for YouTube Space LA, as the Chief Creative Officer for New Form . The videos created will be used in conjunction with current Discovery Digital Networks rather than creating a new site from the ground up. The venture was also announced the same week as Discovery’s upfront presentations to entice advertisers about the concept. Today, media advertisers divide their capital between television and online mediums, serving as a potentially dramatic advertisement revenue increase for Discovery. Zaslav is making the push for Discovery to move into the Internet realm to make their channels easily accessible on all platforms for anyone to use . Discovery Communications Founder John Hendricks to Retire as Chairman of Company’s Board. Discovery Communications. March 20, 2014. RT: April 13, 2014. Overview & Mission. Discovery Communications. RT: April 13, 2014. Leadership. Discovery Communications. RT: April 13, 2014. Google Finance Data. Google. RT: April 15, 2014. 2013 Annual Report. Discovery Communications. RT: April 15, 2014. Discovery CEO touts International Growth, Outlook. The Hollywood Reporter. Georg Szalai. April 3, 2014. RT: April 15, 2014. Introduction to the Entertainment & Media Industry. Plunkett Research, Ltd. RT: April 15, 2014. Used to calculate total market share. Discovery Communications Chairman John Hendricks stepping down. Los Angeles Times. Joe Flint. March, 20 2014. RT: April 17, 2014. John Hendricks Retirement Letter. John S. Hendricks. March 20, 2014. RT: April 17, 2014. Curiosity Mission Statement. Curiosity Retreats. RT: April 17, 2014. Curiosity About Page. Curiosity Retreats. RT: April 17, 2014. Discovery chairman John Hendricks to step down to pursue lifelong learning academy. Washington Post. Dan Beyers. March 23, 2014. RT: April 17, 2014. Cable Pioneer John Hendricks to Retire From Discovery Communications. Variety. Cynthia Littleton. March 20, 2014. RT: April 17, 2014. Discovery Takes Controlling Stake in Eurosport. New York Times. David Gelles. January 21, 2014. RT: April 17, 2014. Discovery Acquires Stake in DogTV, a Network Aimed at Canine Viewers. Variety. Todd Spangler. April 8, 2014. RT:April 18, 2014. Discovery Wants Your Dog To Watch More TV. Bloomberg Businessweek. Kyle Stock. April 8, 2014. RT: April 18, 2014. Discovery Buys Stake In A TV Channel For Dogs. Huffington Post. Bill Bradley. April 11, 2014. RT: April 18, 2014. Discovery teams with Howard, Grazer for online shows. USA Today. Roger Yu. April 3, 2014. RT: April 18, 2014. Brian Grazer, Ron Howard Launch ‘New Form’ Digital Studio With Discovery. The Hollywood Reporter. Natalie Jarvey. April 2, 2014. RT: April 18, 2014. Howard, Grazer to team with Discovery on Web shows. New York Post. Claire Atkinson. April 2, 2014. RT: April 18, 2014. Dedicated to nonfiction, informative content. Deadliest Catch, Mythbusters, and Planet Earth all appear on this channel (7). The only multi-platform entertainment brand that immerses viewers in the full range of the animal kingdom. AP has programming like Whale Wars, River Monsters, and Pit Bulls and Parolees (9). The Military tells real-world stories of heroism and history. Popular programming includes Future Weapons, and Science of the Elite Soldier (10). TLC is a global brand that celebrates life’s special moments. TLC is a top 10 cable network in the United States female demographic, and features programming like Cake Boss, Sister Wives, and Extreme Couponing (8). Velocity is a newer, high-octane cable network aimed at men. With more than 400 hours of premiere viewing time, shows like Inside West Coast Customs, Chasing Classic Cars, and How It’s Made: Dream Cars made their debut on Velocity (11). Discovery owes it to its investors to make smart and economically sound decisions throughout the year. Discovery has been successful in doing this, especially this quarter. Zaslav attributed the success to the “breadth and depth of our brands and the myriad of opportunities across our global distribution platform,” (12). Revenues increased 28% to $1.375 million, as compared to third quarter last year (12). Net Income increased 24% to $255 million, as compared to $205 million for the third quarter of last year (12). Shark Week is an enormously popular special on the Discovery Channel every summer. This weeklong of programming dedicated to the killer of the seas is the longest running cable television event in history. Its popularity can be partially attributed to its ability to harness the power of social media (14). More than one and a quarter million* people follow Shark Week on Facebook and Twitter. Edward “Bear” Grylls is a UK survival expert who spent time in the special forces. His series Man vs. Wild on the Discovery Channel has been nominated for multiple awards, including an Emmy. This season, Bear returns to the DC in “Bear Grylls: Escape from Hell.” Each episode, Bear will put himself in dire situations, based on real acts of survival in history. Of the show, he said “I am super excited to be working with Discovery again – the channel where the… journey began,” (15). Interbrand is the world’s leading brand consultancy. They have awarded the Discovery Channel their #70 spot (of 100). Their reasoning includes a record-breaking 2012 season, strong first-quarter results, and high levels of viewer engagement (17). The Animalist is a compilation of fifteen original digital series exploring the connection between humans and their furry (some not so furry) friends. The show debuted online with nearly seven million monthly streams. In conjunction with additional distribution partners, the content can be accessed from mobile, YouTube, and even the Xbox gaming console (13). For the twentieth year in a row, the Discovery Channel ranked #1 among total adults in its importance to the enjoyment of cable, as well as winning in both perceived value, and favorite basic cable channel. In a new study, the DC ranked #1 as a favorite channel and #1 in importance, among adults who would switch providers were their provider to stop supplying the Discovery Channel (13) (22). Discovery Channel makes a foray into the unknown with this series chronicling the story of Dr. Feynman, a physicist who investigated the Challenger Disaster. The show debuted Saturday, November 16th to a large audience. Critics applaud for its fact-based approach, as well as for actor William Hurt who plays Dr. Feynman (16). Discovery Unwrapped is one week of specialized holiday programming running from Dec. 8-15. The Channel plans to use its own programming to teach viewers the meaning of Christmas from two very different groups. Redneck Moonshiners will offer their opinion on Moonshiner’s Christmas Special, while the more reserved Amish lifestyle will present A Very Amish Christmas. The shows Naked and Afraid, Call of the Wildman, and Gold Rush will also have Christmas specials on Discovery Unwrapped (13). Discovery Channel aims to capitalize on every public event that it can, and this spooky season is no exception. On October 26, Hub Network held its first “Halloween Bash.” Hosted by Kenan Thompson, this two-hour, nationwide costume competition was judged by a panel of celebrity presenters, including Martha Stewart. All-new series Spooksville aired immediately following the “Bash,” (13). Discovery Education is a division of Discovery Communications aimed at delivering high-quality content that engages students beyond the classroom. Their services include Discovery Education Streaming Plus, where students can have lectures, speeches, information, etc. streamed directly to their computer. In addition to providing streaming services, Discovery Digital Textbook Replacement is working to give students an alternative to high-impact, expensive textbooks. Discovery also contributes to higher education programs (18). Discovery has always been interested in a clean, pristine Earth. This is what they showcase in their programming. So it’s only natural that they use their popular programming to inspire change in communities (19). The Planet Earth series captured rare and endangered species in their natural habitat. The DC partnered with the Nature Conservancy during its production, and aired PSAs during commercial breaks, to help preserve the stunning habitats featured in the program (19). Shark Week often features PSAs regarding shark conservation and endangerment. Last year, during Shark Week, the DC partnered with organizations Oceana, and the Pew Charitable Trust to help spread those messages (19). Discovery communications is the world’s #1 nonfiction media company that began as a single channel-the Discovery Channel-and evolved into a global mass media entertainment company that has over 190 worldwide television networks. Discovery currently operates 14 U.S. cable and satellite TV networks, including the Discovery Channel, TLC, Animal Planet, and the Military Channel. It also operates 3 joint venture networks in the U.S. including the Oprah Winfrey Network, The Hub, and 3net, the first 24-hour 3D network. In October of 2013, Discovery launched Animalist, a new digital video network featuring short-form series, which explore the connection between humans and animals. The Animalist programming lineup includes new shows like Discovery Sharks and Animals With Low Self Esteem. Advertisers and partners are able to reach viewers through the new digital network across mobile, YouTube, Xbox, and online at Animalist.com. 3net, Discovery Communications’ joint venture 3D channel with Sony and IMAX gained additional distribution in 2012 and continues to expand its content library. Education, the leading provider of digital education content for primary school in the United Kingdom. The business will be overseen by the education division of Discovery. This marks Discovery’s first purchase of an international education company.